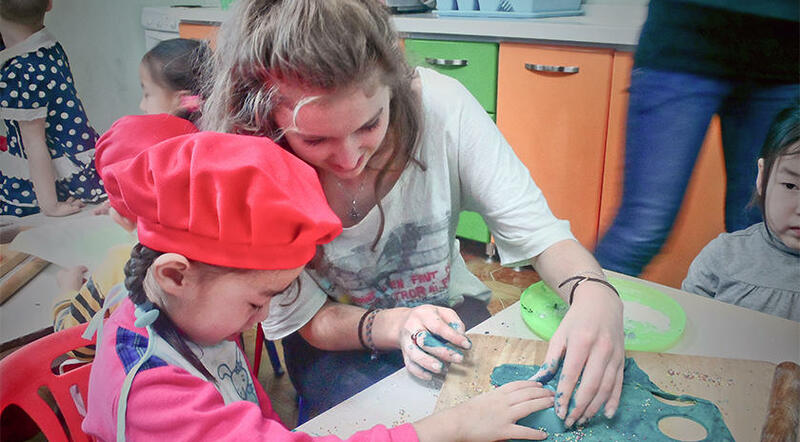 As Care volunteers in Mongolia your group will work to relieve the workload of the local staff whilst improving the quality of life of the children in the care centre where you will work. There are a number of care centres in Mongolia’s capital of Ulaanbaatar, and those children are seen as the lucky ones but these institutions are often desperately overstretched and sometimes cannot offer even the most basic resources to the children in their care. Staff simply don't have the time to provide the individual love and attention that all children require. Your group will provide practical care; helping to wash, dress and feed the children as well as playing games and organising activities for the children. In some community centres, the children that attend are older and often require help with homework, personal and social education or support, and it would also be helpful if you can provide informal English tuition to help them find employment. Overall, all of our volunteers will work towards promoting early childhood development which focuses on social, emotional, cognitive and physical dimensions. Projects Abroad Mongolia is based right in the centre of Ulaanbaatar, with the majority of our host families and projects being concentrated around the centre of the city. Ulaanbaatar is an unusual kind of capital city with bars and restaurants but there's a lot of tradition, history and culture too. It's also easy to get a quick fix of the country life while you're based in Ulaanbaatar. The capital is flanked by the 'four holy peaks', with forests and grasslands full of animal and bird life.